This month we have photographed and catalogued fifteen Choreutic models. 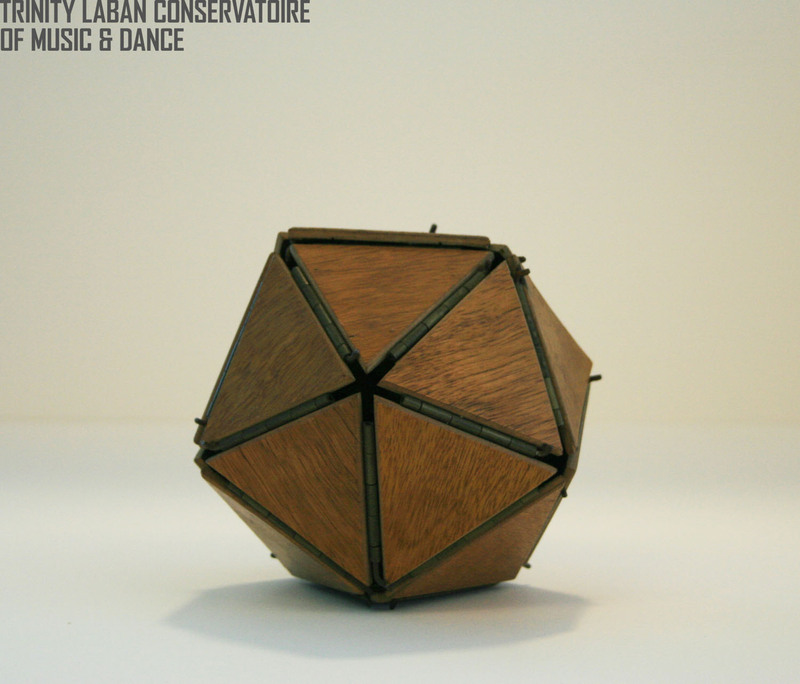 Rudolf Laban used the geometry of the five Platonic solids the tetrahedron, cube, octahedron, dodecahedron, icosahedron, as a way to map movement and movement paths through space, calling his studies Choreutics. These beautiful handmade objects are made out of a variety of materials including wood, string, metal and shoelaces. 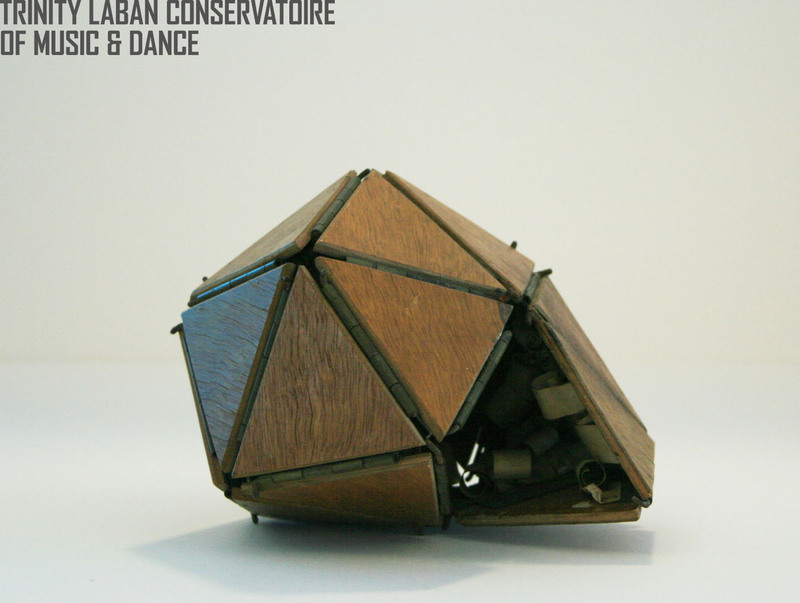 This model is really intriguing, a hinged icosahedron made from wood and metal. The model can be opened up from each edge. 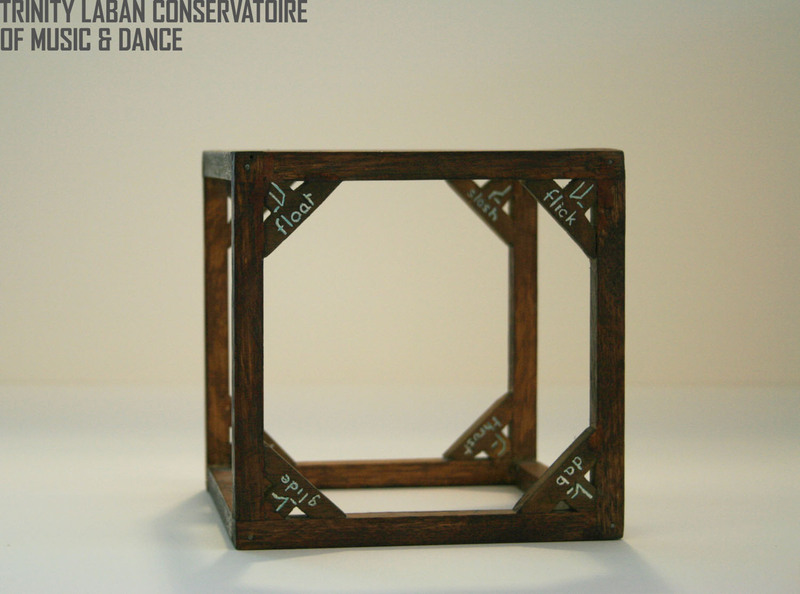 It is believed that members of the Laban Guild made it as a gift for Rudolf Laban’s 75th birthday. Stuck to the inside are tiny scrolls of paper with signatures on. We are not sure the provenance of all of the models. Some of them were made by a member of Laban faculty, Jeffrey-Scott Longstaff, for an exhibition held at the Laban Centre, New Cross in 1990. 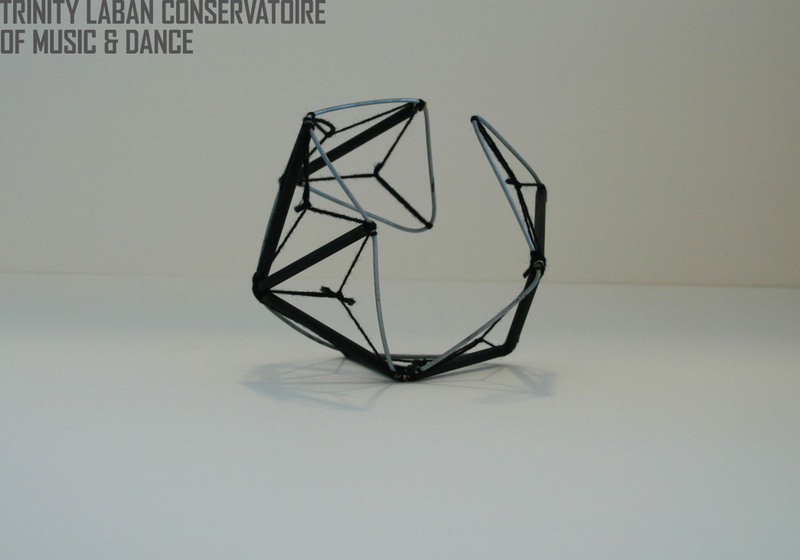 He based them on photographs of models made by Rudolf Laban and Beatrice Loeb for the First Dancers’ Congress held in 1927 in Magdeburg, Germany. Others look much older and it has been suggested that they have been used as teaching aids in the past. Apparently in the 1950’s students at the Art of Movement Studio, Addlestone, used to have to make their own models. These new records and photographs can be found on our Laban Archive Catalogue.